Asian Business School (a part of Asian Education Group) – ranked as one of the best B-schools in Delhi NCR – recently held its annual inter-college cultural fest by the name of AEG ‘KESSHET 2019-Season 6’ on Thursday, 17th January 2019 at its campus in Noida with full fanfare and gusto, all in the filmy style. One of the interesting event activity at this gala celebration was the “War of Brains (General Quiz)” competition. “Knowledge is Power”, so it is said! And, in many ways it does make sense. 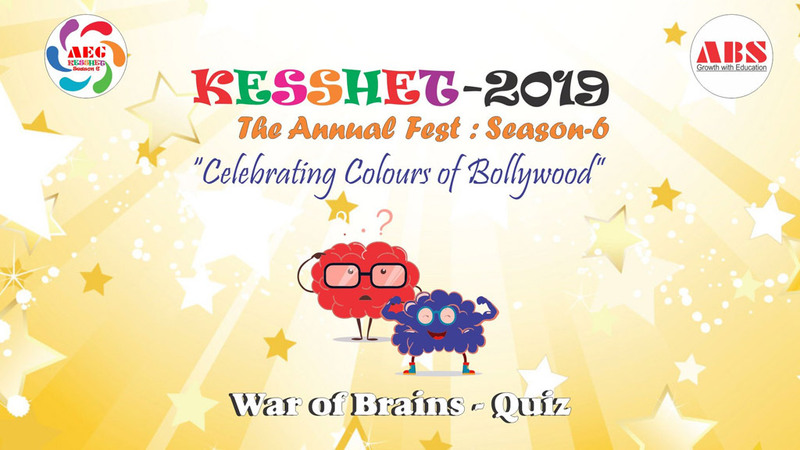 The team event “War of Brains” at “KESSHET 2019 – Season 6” provided the best chance to the brainy-types to prove their grip over the affairs of the world and to exhibit their high levels of general awareness. 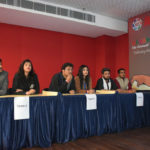 As per the rules & regulations of the event, to begin with, shortlisting of the teams were carried out as only 6 teams could participate in the final round on stage. Each team was given a set of question paper containing 25 multiple choice objective type questions for purpose of shortlisting. It was a team event with each team comprising of 2 members and the questions were in the form of multiple choice, true/false statement, specific-answer question, audio or video based, etc. The event was held in multiple rounds, and the specific rules and regulations of individual rounds were let known at time of event. The names of the winning team members for this event were Saurabh Kr. Tiwary and Tushar Maheshwari.